46 year old mother of three Dawna Natzke has been missing since December 21, 2011. She was last seen leaving a Christmas party in Hot Springs Village, Arkansas where she worked as a police dispatcher. Sadly, a body was found over the weekend in the woods about five miles from her home and about five miles from her car. However, there was no positive identification. Authorities confirmed today that the body found was that of missing and now deceased Dawna Natzke. Detectives have ruled the death a homicide, although they are not sure the cause of her death. 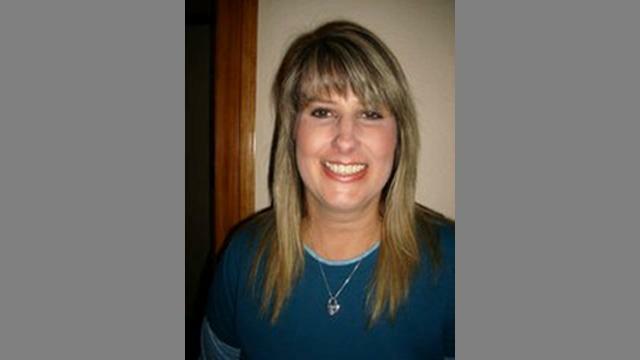 The Garland County sheriff’s office issued a statement Tuesday saying the state medical examiners confirmed the body found Saturday was that of Dawna Natzke, a 46-year-old mother of three who worked for the police department in her gated community of Hot Springs Village. One of her sisters, Vicki Hegyi, told The Associated Press that investigators came by the family’s home Tuesday to confirm what they already suspected — that the body was her sister’s. Police have yet to name a suspect in this case. However,one has to imagine that they are taking a real close look at Dawna Natzke’s boyfriend, 28 year old Kevin Duck, who told police that the two came home from the Christmas party and when he awoke, she was gone. That’s a pretty shaky stories if you ask me. Natzke, who recently separated from her husband, was last seen alive leaving the Dec. 21 Christmas party with her boyfriend, 28-year-old Kevin Duck. He told investigators the two of them returned to her home in Hot Springs Village after the party and that she was gone when he woke up. He did not return telephone calls last week, and his cell phone had been disconnected by Saturday. What’s up with women who want a lover young enough to be their child, or close to it?